Sounds really yummy and I like that it makes 2 loaves! 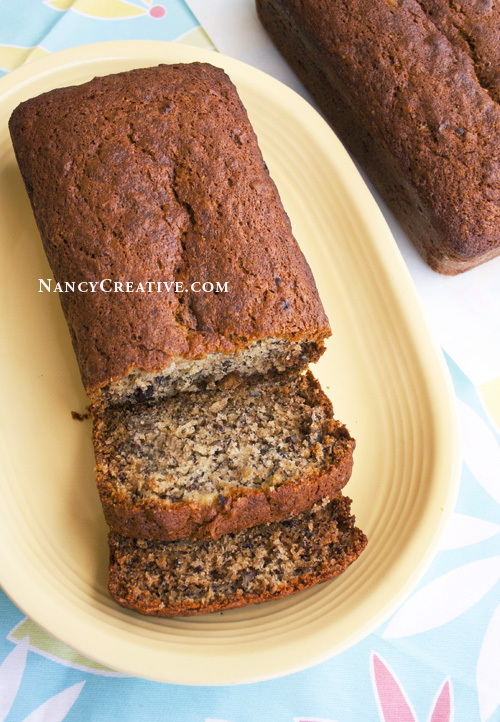 I love banana bread, but I don’t make it nearly enough! Oh yum Nancy!! 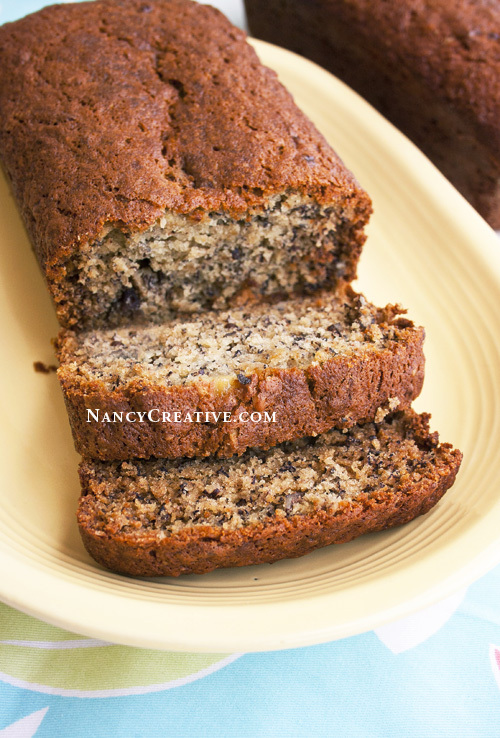 I LOVE banana bread…and with the pecans? You just put it right over the top for me!! This is a great recipe! I can’t wait to try it! 🙂 I have fresh bananas sitting on my counter, and now I’m hoping that they ripen quickly!! So lovely to have discovered your blog… Thanks Fiesta Friday! That is sweet of you to say that! 🙂 I bet your streusal-topped banana bread muffins are pretty wonderful! Thank you! Yes I use bananas in smoothies a lot, too!